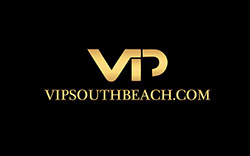 Looking for a great golf course on your South Beach vacation? Well no worries Miami Beach and Miami have many beautiful and award winning golf courses to choose from. Miami is not only known for its amazing South Beach nightclubs but also its amazing weather making it the perfect place for a game of golf. So even though you may be out till 4:00am in the hot South Beach night clubs, an afternoon of golf is must in sunny Miami. B elow is a list of some of Miami’s best golf courses. Course designed in 1925 by the renowned Donald Ross and is the perfect course for golfers of every skill level. The Biltmore is a beautifully scenic 18-hole, 6,800-yard, par 71 course located in historic Coral Gables. This incredible course has been played by dignitaries, movie stars and sport figures for many generations. 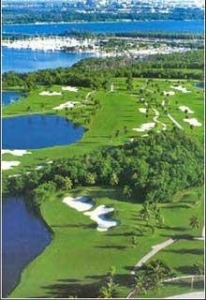 This championship 18-hole golf course is set in a tropical paradise and is about 20 minutes away form South Beach. This beautiful golf course is surrounded by water and lush tropical plant life and is the only public golf course located on the Key Biscayne bay. Crandon is also recognized as one of the most difficult par-72 courses in Florida. This nine-hole Par 36, is located just outside the downtown area. Designed by Donald J. Ross and opened in 1923, Granada is the oldest operating nine-hole course in Florida and has beautiful tree-lined fairways with no water hazards to worry about which is good for the higher handicap players. Located on Miami Beach in Bal Harbour this course is a short 9-hole par 3 course with narrow fairways and lined with many oak trees. This course if fun to play and has areas with water hazards and sand bunkers for a tricky course design. Miami Beach has an amazing golf course which is very close to all the hotels in Miami Beach. The course was recently redesigned by Arthur Hills one of the USA’s premier golf course designers. He has been the architect of many of Americas best courses and is renowned for making courses for golfers of all levels. This 18 hole championship golf course is about 15 minutes from Miami Beach and is very scenic with tropical vegetation and was designed by Red Lawrence in 1939. The course is 6,373 yards with Bermuda grass and has a rating of 70.0.